Why do some of us love to write, and some of us hate to write? Why doesn't everybody love writing? Why doesn't everybody hate writing? Is it possible to both love and hate writing at the same time? 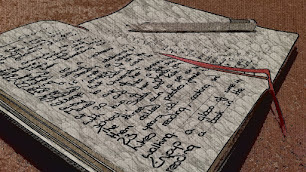 What makes us love writing? What makes us hate writing? What makes us good at writing? What makes us want to write? What makes us happy when we have to write no longer? What pushes us every day to pick up that pen? What inspires us to make the words dance across the page? Why do we love to write? What is it about the flow of words that brings us so much joy, even when we know that no one else may ever read them? Why are we so powerless to stop ourselves from writing? I am powerless to stop myself writing. I rejoice in the flow of words when they fall from my mind like ripe berries from a bush. There are so many words, and so many combinations of words, isn't it beautiful? Isn't it beautiful how much we love to create? How much joy we find in creating. We are the dreamers, the creaters, the designers, the builders of worlds and people and histories.